I've seen plenty of conversion experiences in this city. A few of the spiritual kind. Most of the commercial space variety. Church turned club. Club turned college dorm. One of the finest conversion experiences in my opinion is Cipriani. Bank teller windows still surround the dining area in their art deco glory. But some conversions leave much to be desired. 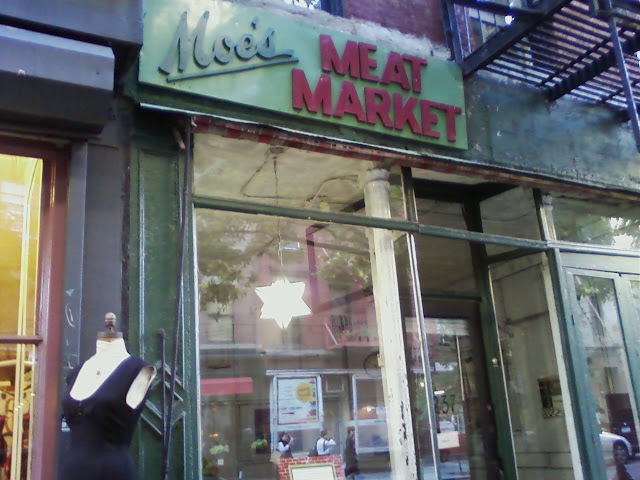 Like the one I saw today in NoLita: a butcher shop turned art gallery. Almost trying too hard to be cool.